After saying earlier this week that it was investigating reports of a data breach related to payment cards used at its locations, P.F. Chang's China Bistro confirmed on Thursday that credit and debit card data has been stolen from some of its restaurants. Interestingly, the company also said that it has switched over to manual credit card imprinting systems for all P.F. Chang's China Bistro branded restaurants located in the continental United States. The popular restaurant chain said that on Tuesday, June 10, the United States Secret Services alerted the company about the incident. According to a statement posted to P.F. 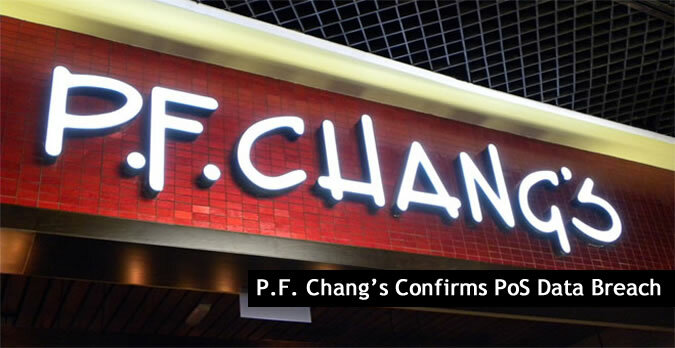 Chang’s website, the company initiated an investigation with the Secret Service and a third-party forensics firm to understand the nature and scope of the incident. “Because we are still in the preliminary stages of our investigation, we do not yet know which credit or debit cards may be involved. P.F. Chang's has notified the credit card companies and is working with them to identify the affected cards,” the statement explained. On Tuesday, security blogger Brian Krebs reported that cards reportedly used at P.F. Chang’s were found at carder forum rescator[dot], which happens to be the same site where cards belonging to victims of the Target breach were sold. According to Krebs, several banks said the latest collection of cards had all been used at P.F. Chang's locations between March 1 and May 19. In an FAQ posted to its website, the company explained that it has temporarily ditched its electronic Point-of-Sale System in favor of old-school “imprinting devices” to process payments while the company gets the situation under control and understands the scope of the attack. "With clear details not available on P.F. Chang’s breach, it mirrors the trend we’ve been seeing with other recent high profile data breaches – meaning the response time could be lengthy,” Simon Eappariello, SVP product & engineering at iboss Network Security, told SecurityWeek. “This new PF Chang’s breach continues an ongoing trend of high profile breaches where the company seems to have no internal awareness about its occurrence until this external notification of private information has been exposed and the focus for identification is all occurring post-breach,” Will Gragido, Director of Security Intelligence at NSS Labs, told SecurityWeek. “With the increasingly frequent attacks against the retail industry and POS infrastructure, it appears there is a larger systemic issue at play and it is likely that these breaches will continue,” Gragido added. Anyone who has visited a P.F. Chang’s and used a payment card over the last several months should monitor their accounts and report any suspected fraudulent activity to their card company. The company has also setup a line for customers to call if they have additional questions: 1-877-782-6356.